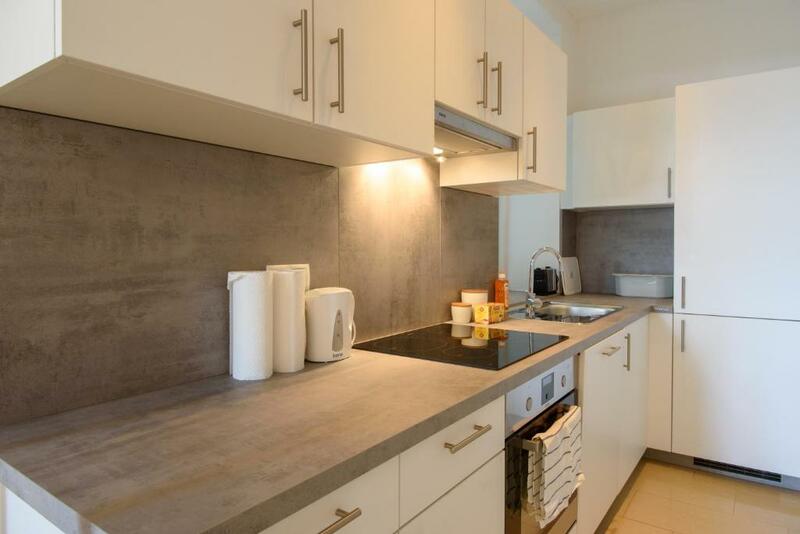 The palcement of the appartments very convenient near metro, couple supertmarkets, some nice cafes. The appartment were clean and with good sunshine lightning. It was very clear , comfortable and very well equipped . 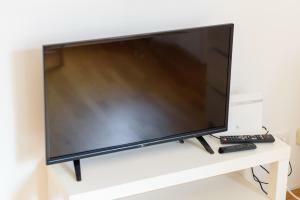 It is near the metro line 4 and to two big supermarkets. I loved it. The location, the furniture, the cleanness everything was great. The hosts are very nice and I recommend this place in Vienna. 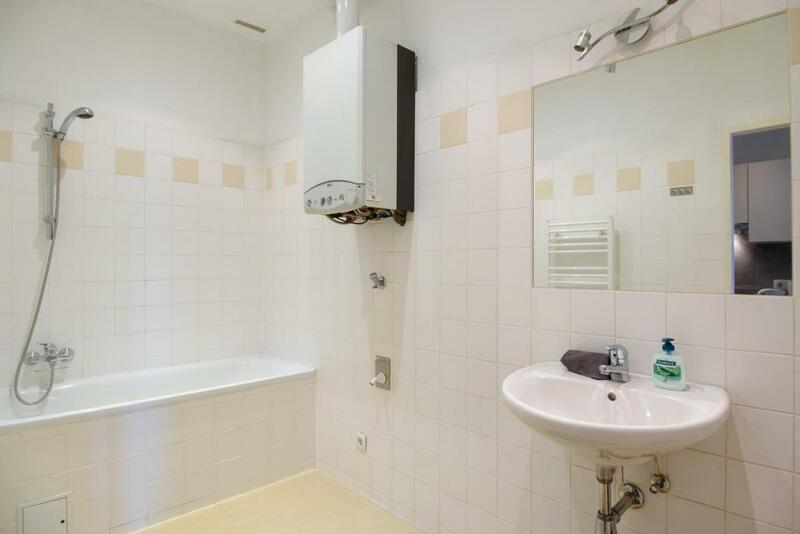 We liked that the apartment was big and had every utility you needed in it. The location is close to the metro and bus stops - just a few minutes walk away - which made it really easy to get fast everywhere. There are 2 stores and a bakery really close by and lots of restaurants to choose from just a few minutes away. Near the metro station it is available a public paid and under surveillance parking. Also the manager was really helpful. Key collection is simple and uncomplicated. Der Anbindung zum Zentrum war sehr gut. Die Lage ist sehr ruhig. Отличное расположение, 5 минут ходьбы до ветки метро U4, по которой без пересадок можно доехать до исторического центра. Ключи взять просто перед домом, но нужно не забыть перед поездкой прочитать сообщения, в которых будут указаны коды. В противном случае нужно будет звонить хозяину. Чисто, на кухне есть посуда, холодильник. Все необходимое есть. Todo perfecto. Hemos estado muy a gusto en todos los aspectos. Si volviera a Viena, repetiría sin dudarlo. Цена = качество. Чисто. Уютно. Посуда вся необходимая. Очень теплая квартира. Месторасположение. Рядом супермаркет. 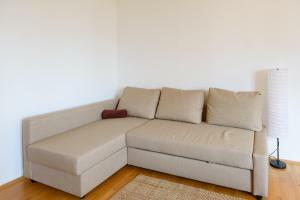 Sauber, möbel und einrichtubg ausser sofa ist schön. Schlüsselübergabe ist eibfach und unkomplziert. Ulaşıma yakın. Banyo iyi. Yalnız duşakabin yok, küvet ve etrafı açık. 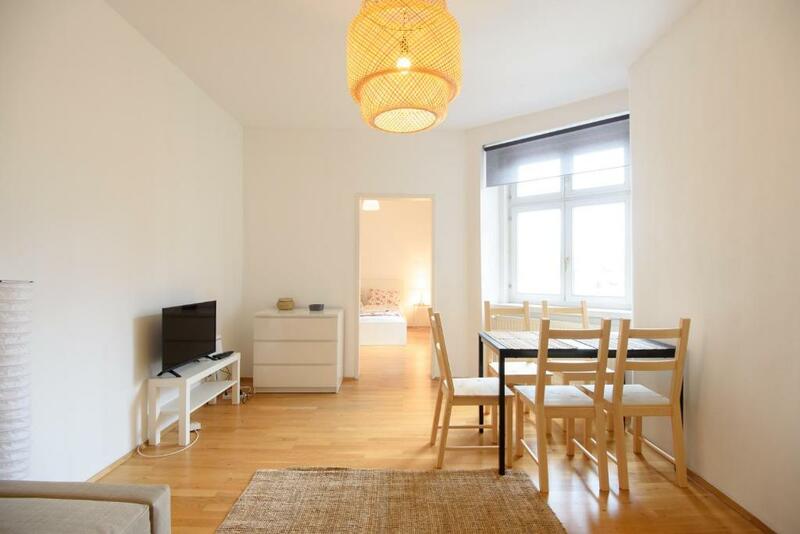 Lock in a great price for Vienna Living Apartments - Liechtensteinstraße – rated 8.6 by recent guests! 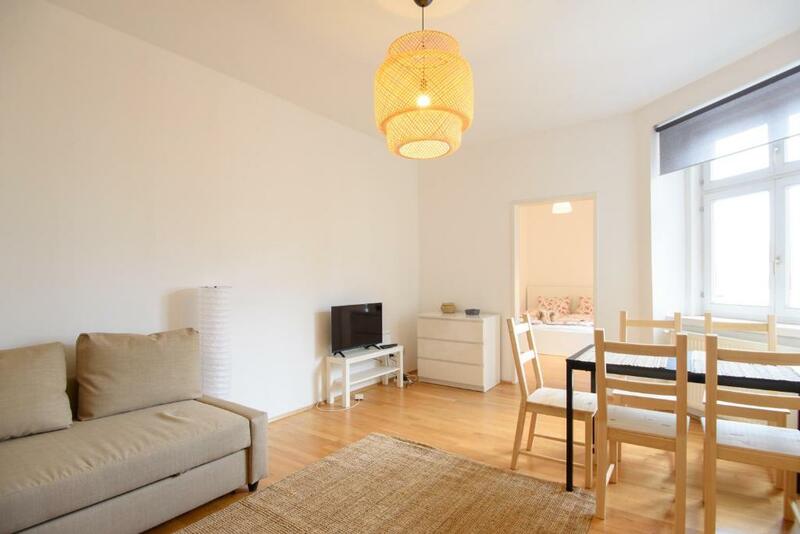 Vienna Living Apartments - Liechtensteinstraße offers accommodations in Vienna, 1.5 miles from Rathausplatz. 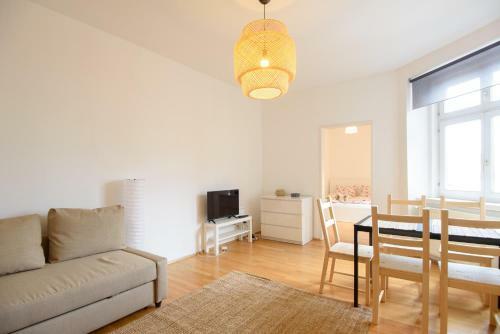 The Vienna City Hall and the Vienna Volksgarten are within 1.8 miles and 2 miles of the apartment, and free WiFi is provided. Offering 1 bedroom and 1 bathroom with a bath, this apartment has a satellite flat-screen TV. A dishwasher and an oven can be found in the kitchen. Hofburg is 2 miles from the apartment, while Parliament of Austria is 2.2 miles away. The nearest airport is Schwechat Airport, 13 miles from VLA Liechtensteinstraße. 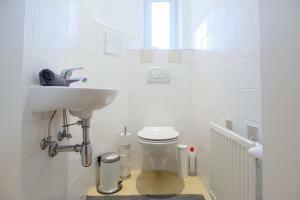 When would you like to stay at Vienna Living Apartments - Liechtensteinstraße? 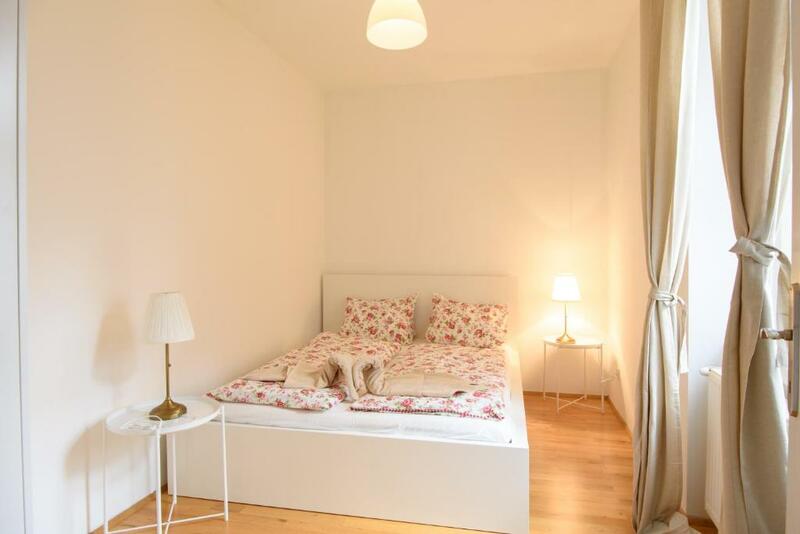 House Rules Vienna Living Apartments - Liechtensteinstraße takes special requests – add in the next step! When we arrive at 15:00 the towels and linens were totally wet and were covered on blanket and pillow. After messaging to owner, the lady came and expained that new housemade is missed up with the laundry that's why the linnes is wet, she put everything in the laundry mashine and says that in 4 hour it will be dry. But it's not! When we returned in more that 5 hours it was still little wet oneself we have to wait again for 30 minutes, and than cover the linnens on the pillow and blanket. And the towels was still a little bit wet, so it's not comfy to use it after taking shower. After messaging with the owner they stopped answer. It would be better if there was a curtain to the bath tube . Everything was fine. I recommend this apartment. The bed and the floor in the master bedroom we're pretty squeaky, making it a bit hard to be able to comfortably sleep with all the noises. Also the window in the room seems to have some issues not being sealed properly or something, thus you are able to feel the cold air from outside coming in and making the room colder than the rest of the apartment (although the radiator is working).